The Dunch Mortuary Chapel stood on the south side of the chancel of Little Wittenham Church until the building was almost entirely rebuilt in 1862. 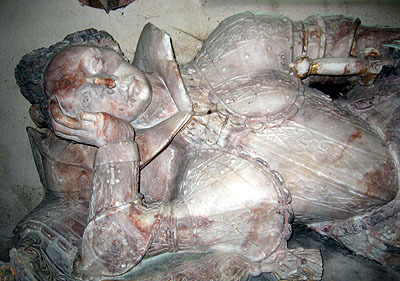 Of the many monuments to the family housed there, the prize was this costly monument of marble and alabaster, with the effigies of Sir William Dunch in armour and his lady, erected against the west wall. Old illustrations show the monument was once more elaborate than it is today, but its repositioning below the tower have made some adjustments necessary. 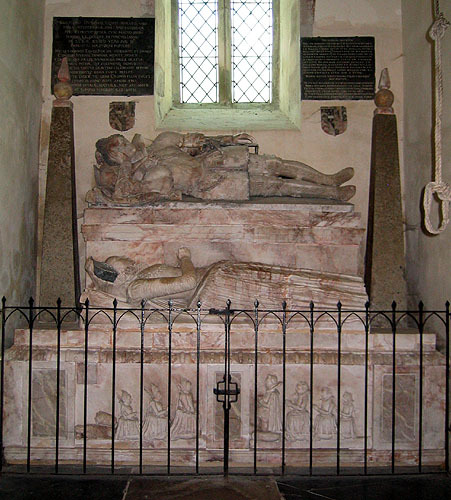 Sir William (d. 1612) was the son of Sir Edmund Dunch, Kt, MP of Little Wittenham Manor, by his wife Anne, daughter and heir of Nicholas Fettiplace. He was MP for Wallingford in 1603, being knighted by King James I in the same year, at the house of George Fortescue, Esquire. 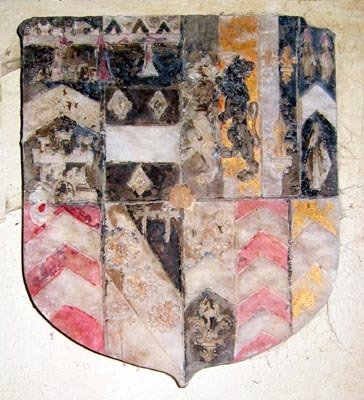 He married Mary, fourth daughter of Sir Henry Cromwell, Kt (d. 1603) of Hinchinbrooke, Huntingdonshire, by his first wife Joan, daughter and heir of Sir Ralph Warren, Lord Mayor of London in 1536 and 1543. 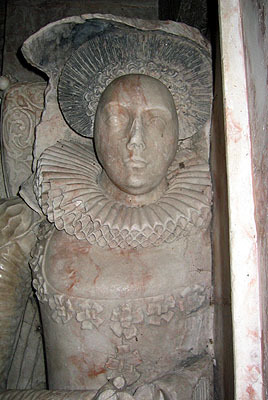 Mary was the aunt of the Protector, Oliver Cromwell, and the patriot, John Hampden. William died within his father's lifetime at the age of only thirty-three. 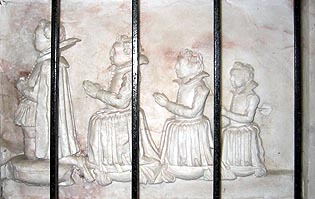 The issue of the marriage were four sons and five daughters, as depicted on the base of the monument. 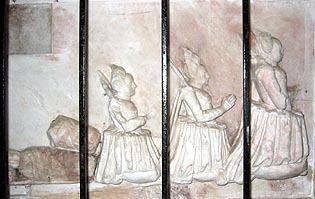 The eldest son was Sir Edmund Dunch who became Lord Burnell of East Wittenham.